Does anybody know what do i need to change in the lua file, so the ai driver move faster ? Does anyone tried this ? 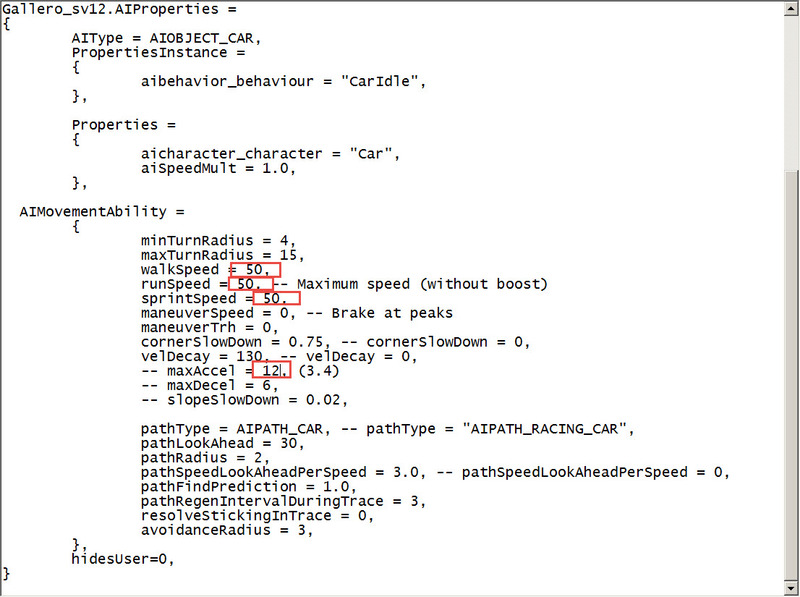 You change the speed in flowgraph Vehicle:followpath Speed(m/s). So those settings in lua are for other purposes ? I will try this, to see if it work..
Well, it such simple when you know it .